I made a trip to Savannah Georgia and was impressed at every turn. The public squares every 3 blocks or so with lovely live oak trees, Victorian brick architecture, & magnolia trees. 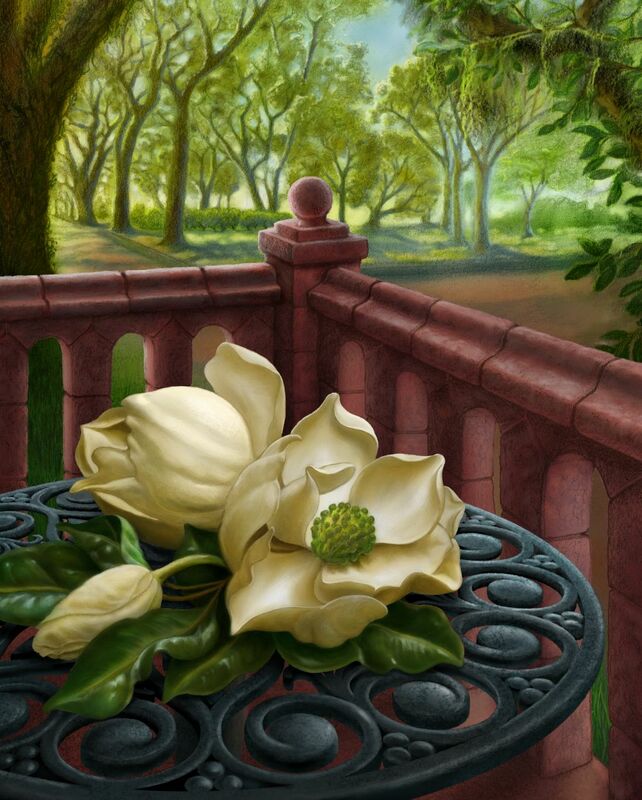 I have also admired Martin Heade’s Magnolia painting’s for some time and thought I would try my hand at painting them.